What a charmed life. Betsy Jolas is a French composer, whose parents were translators. Her father founded a literary magazine that published James Joyce’s “Finnegan’s Wake,” and she grew with visitors to her house like Gertrude Stein and Ernest Hemingway. Her son is a Jazz trumpeter Antoine Illouz. Jolas studied with Darius Milhaud and Olivier Messiaen in Paris and eventually replaced Messiaen at the Conservatoire National Supérieur de Musique of Paris where she was made faculty in 1975. 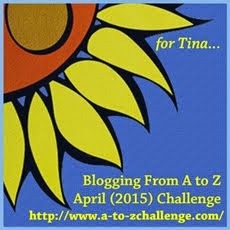 It’s day 10 of the Blogging from A to Z April Challenge in which I attempt to blog every day (excepting Sundays) throughout the month of April. For this challenge, I am curating a collection of “classical” music pieces, which are lesser known or by lesser known composers (to me at least). Today’s composer is Betsy Jolas (b.1926 ). Jolas grew up in a very literary family. Her father had a literary magazine called “Transitions,” which among other new works, published “Finnegan’s Wake.” The young Jolas grew up with visits to her house by Ernest Hemingway, Gertrude Stein, and other Lost Generation writer. After studying in the US, she returned to France and studied with Darius Milhaud and Olivier Messiaen, though later she became much more influenced by Stockhausen, Boulez and the Avant Garde in music. Today’s piece reminds me of the work of Webern and Schoenberg. Jolas was a professor and taught in France as well as at Yale, Harvard and Tanglewood.